Lee Yoo-jin is a South Korean actress who made her debut in 1998 and is still active as an actress and TV host. Lee Yoo-jin began as a teenage model and made her entertainment debut on the Super Elite Model Contest in 1998. Then, she began to be interested in being an actress rather than being a model. She took on supporting roles in dramas such as Beautiful Days, Girl’s High School Days, Into the Sun, and Phoenix. Lee Yoo-jin’s mother was Korean while her father was a Hispanic American soldier who had served in Korea in the 1970’s. However, her parents divorced when Yoo-jin was a 1 year old, and she lived with her mother. After that, her father returned to America and Yoo-jin has had no contact with her birth father. Now, let’s learn more about Korean Actress Lee Yoo-jin! Education: Seoul Women’s University, Majoring in Biology. Her nick name is Heidi. She often changes his hairstyle. Recently, she had a long hairstyle with a rather bright color. She has Korean and Hispanic mixed blood. In May 2003, Lee held a press conference and tearfully acknowledged that she was of mixed race. She had previously denied the rumors that she was biracial. She married ice hockey coach Kim Wan-Joo on October 14, 2010, at the Seoul Renaissance Hotel. In 2014, rumors circulated that Lee Yoo-jin and her husband were divorced. In 2011 and 2013, she hosted a radio program with Yoon Jung-Soo for MBC FM. Who Is Lee Yoo-jin’s Husband? Are They Still Together? Beautiful actress Lee Yoo-jin was married in 2010 with former ice hockey player Kim Wan-Joo, who is now an ice hockey coach. They held their wedding at the Seoul Renaissance hotel. In an interview, Lee Yoo-jin once expressed her love for her lover and expressed her gratitude for him loving her and always being by her side. Also, at Lee Yoo-jin’s press conference, she stated, “Right now, this moment is something I’ve been looking forward to for a long time. I feel so safe and thoughtful. Not being alone makes me so happy.” And, they spent their honeymoon in Guam. Unfortunately, their marriage did not last forever. In 2014, after 4 years of marriage, they decided to divorce. During their marriage, they had no children. Yoo-jin Lee is currently under serious stress and is avoiding contact with anyone. She is currently not active in entertainment but has been featured in home shopping programs with her own cosmetic brand. On October 29, 2014, Lee Yoo-jin wrote on her SNS, “I am totally fine. That is an old story. Thank you for your concerns. I feel quite shy about this.” This news was quite surprising for fans because even though Lee Yoo-jin never talked about her household life, in public, the couple always looked loving. How to Keep My Love is the first film starring Lee Yoo-jin. The film was released on July 16, 2004, with a duration of 112 minutes and is a comedic romance. In this film, Lee Yoo-jin plays Choi Jin-Shil. The film tells about a 29-year-old woman who believes that she has nothing to show for herself except for a successful relationship with her boyfriend. One day, her boyfriend, who is sweet and gentle, goes to the department store to shop for her and ends up stuck in an elevator with a famous, gorgeous movie star and is soon attracted to her for her easygoing and down-to-earth personality. 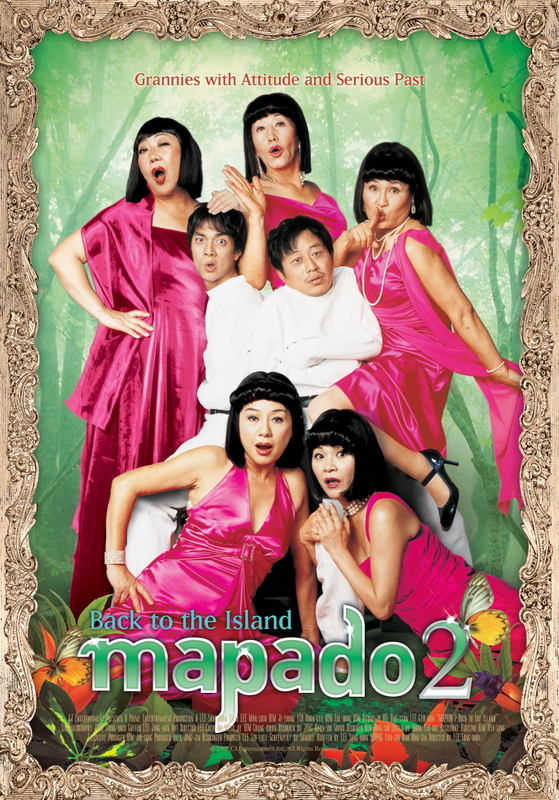 Mapado 2: Back to the Island is the second film starring Lee Yoo-jin. In this film, Le Yoo-jin only acts as an auxiliary role as the chairwoman’s younger self. The adult version is played by Yeo Woon-Kye. The film was released on January 19, 2007, with a duration of 111 minutes. This film tells about a detective who takes a secret mission from a dying president of a big company. The businessman wants to see his first love before passing away. The only information the detective has is that man’s first love was named Kkotnim and she is now living on an island called Tongbaek, off one of the country’s southern ports. He rides on a private boat to the island with an anonymous passenger, dreaming of the big bucks he will get when he completes his mission. But, the boat is wrecked in a fierce storm, and he and the passenger find themselves lying on the shore of a strange island. Later, he finds out that the island used to be called Tongbaek, which leads him to think that one of the five grandmothers must be Kkotnim. Now, he begins to investigate their past love stories. Lee Jong-suk Has a Secret Tattoo- Check It Out!